First Listen: Suede, 'Bloodsports' The Britpop band's first album in 11 years is one of the finest comeback albums in recent memory. Brett Anderson sounds as melodramatic and persuasive as ever on Bloodsports, and he can still belt out choruses with the best of them. We're just two months into 2013, and it's already been a huge year for living legends of British pop. David Bowie bucked the exaggerated reports of his decline with The Next Day, his first album in 10 years. Kevin Shields and My Bloody Valentine created an Internet frenzy by posting their 22-years-in-the-making m b v online on short notice. Smiths guitarist Johnny Marr released a solo album almost 30 years after we first fell in love with that shimmering black Rickenbacker. Next to those names, Brett Anderson may sound anonymous, especially to American audiences. But make no mistake: Twenty years ago, there was no bigger band in Britain than Suede, a.k.a. The London Suede in the U.S. Some even credit Anderson's sinewy glam jams with kicking off the Britpop era. The band's first album topped the charts and took home the 1993 Mercury Prize; the rest of the decade didn't turn out so bad, either, with two more No. 1 albums and a handful of Top 10 singles. 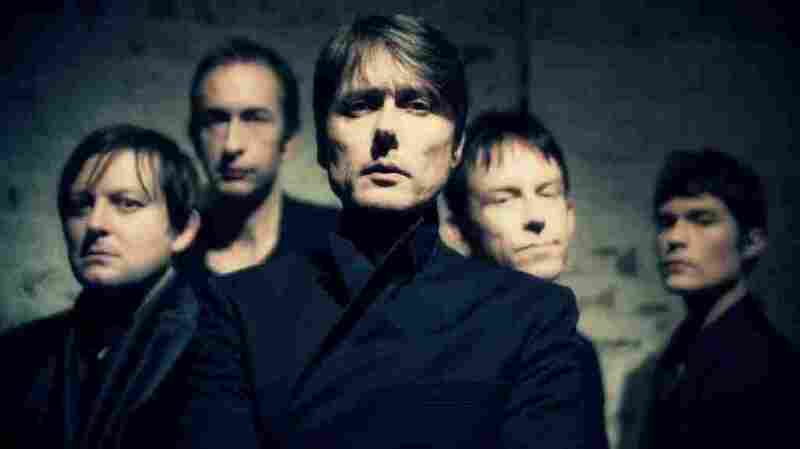 It's been 11 years since the last Suede record, so when Anderson announced last year that the band (alas, still without guitarist Bernard Butler) was returning to the studio, there was no reason to expect anything along the lines of Suede or its incredible follow-up Dog Man Star. So it's frankly a little surprising how great Bloodsports sounds — perhaps even better than the comeback albums by Marr, Shields or Bowie, Anderson's thin white role model. Anderson's New Romantics redux sounds as melodramatic and persuasive as ever on Bloodsports (out March 19), and he can still belt out choruses with the best of them. The opening one-two punch of "Barriers" and "Snowblind" is greatest-hits material, and the rest of the album doesn't lag far behind. "For the Strangers" is raised-lighter-worthy, while "Faultlines" closes Bloodsports on a deliciously defeatist note: "Celebrate! / There is no feeling / for us to feel." That sentiment isn't entirely true, because for Suede fans, Bloodsports will likely evoke a powerful feeling of relief. It's the best kind of comeback album: one you'll actually want to come back to.